Welcome to the Author Success Hub! UNLIMITED RESOURCES ARE YOURS FOR ONLY $27/MO! Join Author, Entrepreneur, & Educator Tamara Monosoff in this member exclusive hub. The content and step-by-step videos and resources will blow your mind. Scroll down to see what is included with your Monthly Membership. You will be provided with all the extras! Tools that you need to grow professionally. It's all here and it's all made simple for you! Check Out Tamara's Other Courses for Authors! BONUS! As an Author Success Hub member, you will have an opportunity to be featured on The Author Channel, a NEW Facebook Live bi-weekly show hosted by Dr. Tamara Monosoff. Tamara will interview both Authors and Experts. This is great exposure for your book and business! If you'd like to be a guest on the show, please click here to fill out this short application. You get all of this with your Author Success Hub Membership and so much more. NEW HOT content uploaded each month. It really is a no-brainer. CLICK HERE TO GET ACCESS FOR ONLY $27/MO NOW! PLUS! I have included everything in the Author Success Hub that I personally use! I've included solid, proven strategies that work! I didn't want to just end there...I also want to give you the ongoing support you need to put that marketing into action! 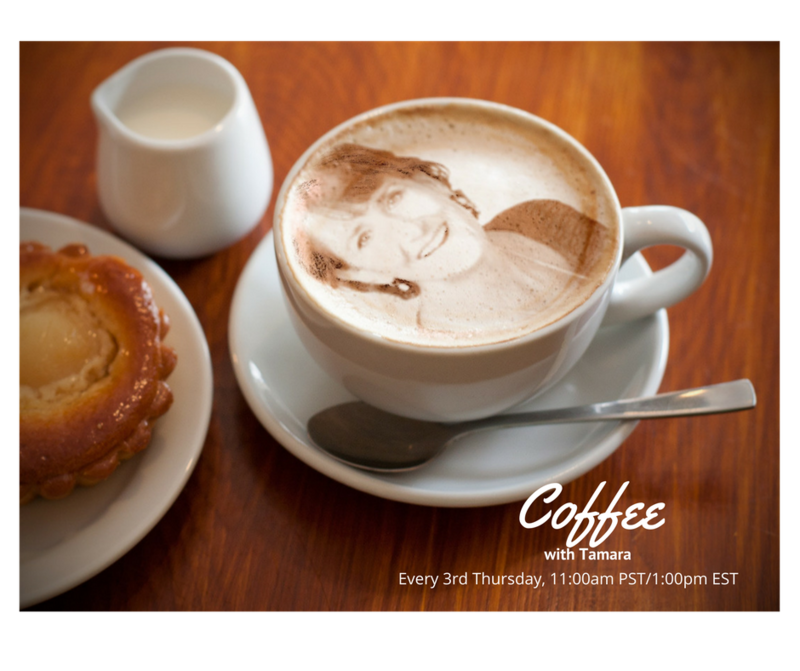 Therefore, beginning on February 16th, I will be inviting members of the Hub to join me every third Thursday LIVE for "Coffee with Tamara" via Zoom to answer any questions you may have. Grab a cup of coffee and let's talk shop. Can't make it for coffee? I'll record our sessions together and leave them for you in the Hub.